Charles M. Rader was born in Brooklyn, New York on June 20, 1939. He received the M.E.E. degree in 1961 from the Polytechnic Institute of Brooklyn. Following graduation he joined the MIT Lincoln Laboratory and worked with Dr. Bernard (Ben) Gold on speech bandwidth compression using vocoders. The major problem with vocoder research at that time was that each experiment required constructing several banks of low-pass and band-pass filters and associated amplifiers and detectors. Mr. Rader developed a computer simulation of an entire vocoder, using the z-transform to design efficient simulations of analog filters. He also developed a compiler specialized for writing analog system simulation programs. 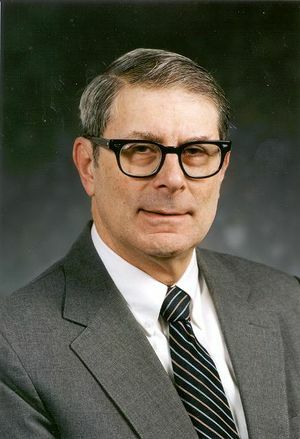 In 1967, he and his collaborator Dr. Gold published "Digital Filter Design Techniques in the Frequency Domain" in the IEEE Proceedings. They realized that the methods used to simulate analog filters would soon become methods to design digital filters as digital circuits became smaller, cheaper and faster. Mr. Rader also contributed to the early development of the Fast Fourier Transform (FFT) algorithm. He worked through the IEEE Group on Audio and Electro-acoustics, the forerunner of the IEEE Signal Processing Society, to develop tutorial material about the FFT and the other emerging signal processing technologies. Together with Thomas Stockham, he developed the widely used "butterfly diagram" which is now used predominantly as a basis ofhardware and software design for the FFT algorithm. In 1969, Charles Rader co-authored, along with Ben Gold, the landmark text, Digital Processing of Signals. The book described the fundamentals of digital signal processing, including theory algorithms, hardware and software implementations. It also covered advanced topics for speech and image processing. Starting that same year, Mr. Rader spent a decade working on communication satellite technology, making contributions in satellite component reliability, command and telemetry systems and ground terminal information display. The need to configure satellite antennas to reject jamming led him back to signal processing and he developed a wafer-scale adaptive interference cancellation chip, capable of controlling a 64 element antenna array. Mr. Rader is a Fellow of the IEEE and has been honored with the IEEE Centennial Medal and the Technical Achievement Award. He has served as President of the IEEE Signal Processing Society and was the Society's Chapters Coordinator for several years, helping to initiate local chapter activities in more than a dozen localities around the world. He and his wife, Carol, resided in Concord, Massachusetts. In his spare time, he learned to read, write and speak Chinese.